According to the petitioner, the spread of myth of Love-jihad is discriminatory against members of the minority community and the Union of India and Rajasthan Government are duty bound to counter through public messaging that such myth should not be spread. Supreme Court of India has agreed to hear a petition filed by Gulbahar, wife of Mohammad Afrazul who was hacked and burnt in Rajsamand, Rajasthan seeking an impartial investigation from an independent national agency and also to look spreading of hate speech of a communal nature targeting a whole religious community and discriminating against them, demonizing them and encouraging violence against them and creating a communal divide. The petition mentioned by Senior Advocate Indira Jaising last week before the Chief justice of India, also seeks an inquiry into the factors that acted as a catalyst and motivated him to commit such a heinous act, the factors and people responsible for spreading such hatred in the name of a communal myth/fiction being propagated as “Love Jihad”, being hate speech, stigmatizing an entire community, by creating a myth that Muslim men are marrying Hindu women and fighting a Jihad. According to the petitioner, such a vile act is reprehensible by all standards of humanity and violates the fundamental rights of the Petitioner to live with dignity and in peace without the threat of being persecuted on the basis of her race, caste, creed, gender or religion, as such rights are bestowed upon the citizens of this country by the mandate of Article 14, 19 and 21 of the Constitution of India. The Petitioner is aggrieved by the limited investigation being conducted by the Rajasthan Police into the murder of her husband, without investigating the hate crimes which led to the killings: namely, spreading enmity between different groups on the basis of religion and creating disharmony within the meaning of Section 153A of the Indian Penal Code, 1860 which is beyond the scope of the present investigation agency so the guilty will never be brought to the book. “The same amounts to infringement of the Petitioner’s right to a free, fair, impartial and complete investigation of not only the crime but also the hate speech which is guaranteed as a fundamental right by the virtue of Article 21 of the Indian Constitution”. The Petitioner also seeks the immediate removal of all videos of the heinous killing circulating on several websites including YouTube and the Respondent No 1 is duty bound to ensure that the service providers do not upload the said videos which are a form of hate speech encouraging others to indulge in copycat crimes. The petitioner also seeks adequate compensation from the State of the said heinous crime, for their failure to prevent the spread of communal violence. She has received a sum of Rs 2 lakh from the State of West Bengal and Rs. 3 lakhs from Rajasthan Government but she said she has three daughters to provide for and the amount is by no means adequate for her maintenance and to take care of their future. The Petitioner also seeks access to justice in a free and fair atmosphere and the appointment of a special public prosecutor unrelated to the ruling party of the State and functioning under the supervision of the Court. “This is particularly important since the Petitioner resides in West Bengal and is unable to be physically present at the trial. There is an atmosphere of mass hysteria at the hearings as is evident from news reports that orange flags were hoisted on court house building by supporters of the accused on the date of hearing”. 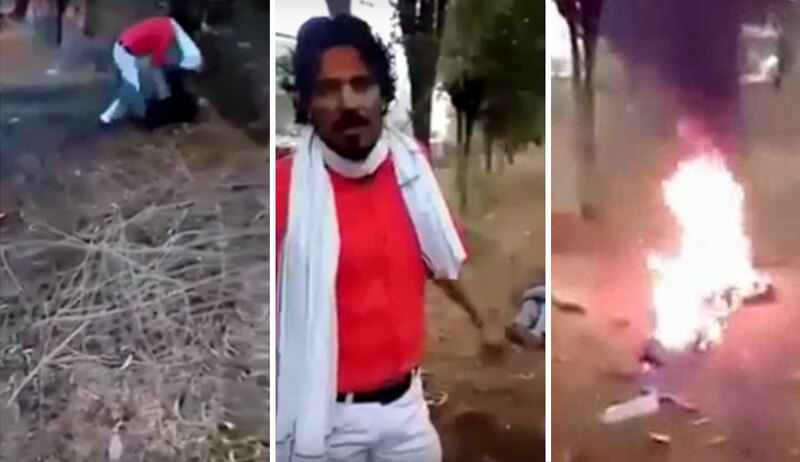 “The accused was arrested and produced before the magistrate on 14th December, on the same day a group of miscreants belonging to some groups protested, shockingly and bizarrely in support of the murderer, Shambhu Lal.